You might have heard of Lake Como or Lake Garda but have you heard of Lake Orta?? When people travel to Italy, they usually skip this little gem of a town. Lake Orta or quite beautifully called Lago di Orta in Italian, is located in the Northern Italian region of Piemonte. Lake Orta is part of the town of Orta and is a peaceful Italian lake compared to its counterparts. I’d also say its much more “Italian”. Although it can be crowded in the summer, I doubt it can be as crowded as Como. Rightly away from the Clooney madness (George Clooney has a home in Lake Como), Lake Orta is an easy and relaxing day trip from both Milan (80kms) and Turin (128kms). >Before you even think of an itinerary for Lake Orta, I’d stop you there. What should you do in Lake Orta?? Relax!! 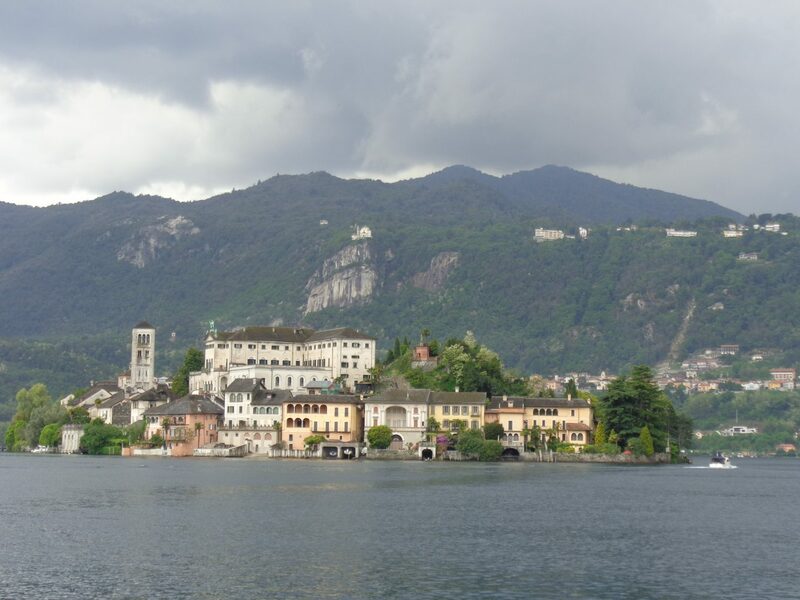 Simply take a stroll around the lake area and enjoy the cobbled streets of Orta. Have a meal in any of the bars or restaurants and enjoy the charm of the little corners of this Italian lakeside. I absolutely loved my time in Lake Orta and was super inspired on returning. I know that whenever I return next, I definitely want to stay there a few nights. The key is to relax and eat all day and have my own little version of la dolce vita! Lake Orta can be best reached by a car. Although the town has a train station at Orta Miasino, it requires a train change at Novara (50kms away). Grazie! Your post brings back fond memories of my visits to Lake Orta. It really is such a special place. I am happy I could take you back in time. I am really missing Italy a lot today. Lovely! I’ve been nearby but never visited this lake. Now I feel like I was there!